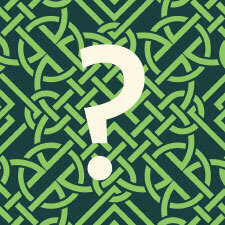 Support the vital work of creating programs for the expression of the Irish voice in America. Crossroads was founded to promote the discovery and understanding of the Irish experience in the Americas, and to ensure that the richness of the arts, culture, history, and traditions of this heritage are both held in high esteem and preserved for generations to come. 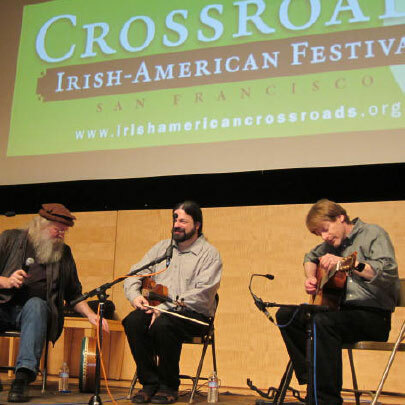 Crossroads produces a variety of outstanding cultural and historical programs throughout the year, while also serving as a central hub of events information for the Irish and Irish-American communities of the Bay Area. Our core program is the Irish-American Crossroads Festival, a literary, musical, and cultural festival that features the “best and the brightest” of Irish and Irish-American artists to venues in the San Francisco Bay Area each year during the month of March; ours is the only ongoing festival of its kind in the country. Crossroads also directs the Irish Oral History Archive of the San Francisco Bay Area, which is being developed with funding from the Emigrant Support Programme of Ireland. We also sponsor the Irish-American Writing Contest, which supports and encourages emerging Irish-American poets, fiction writers, and memoirists. Ensuring this heritage is held in great esteem for generations to come. Meet our advisory board members and our founding directors. Founded in 2004, Crossroads produces a variety of outstanding cultural and historical programs throughout the year. Read about our successful efforts to make visible the Irish voice in America.